RALEIGH, NC– December 5, 2018– VectorVMS, a leading provider of vendor management solutions (VMS), today announced its launch as a new brand identity. 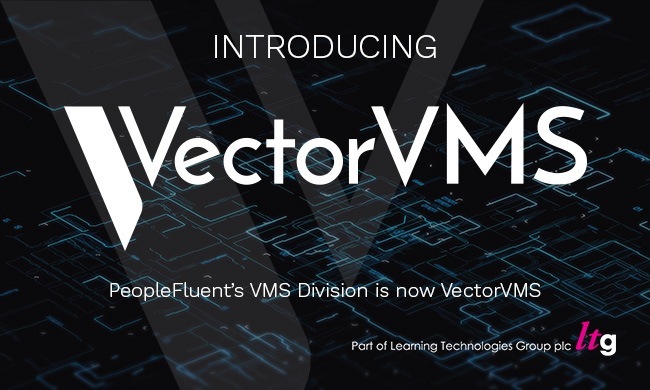 Formerly a division of leading Integrated Talent Management business, PeopleFluent, VectorVMS becomes the latest addition to Learning Technologies Group’s (LTG) portfolio of brands. On announcement of the launch, the company unveiled a new website, www.vectorvms.com. LTG’s businesses—LEO Learning, gomo, Eukleia, PRELOADED, Rustici Software, PeopleFluent, Affirmity, Watershed, and VectorVMS—are at the forefront of innovation and best-practice in the learning technology sector, and have received numerous awards for their exceptional performance. Our portfolio of brands represents the best of breed and they are acknowledged throughout the industry as market leaders.